Children carry water from the Awache Seme river in Bondo area of Nyanza province, Kenya. Photo by Peter Bregg. For the first time in human history, more than half of the world’s population now live in cities: that means about 3.5 billion people. And the urban landscape continues to grow, with 38 percent of the growth represented by expanding slums. City populations are increasing faster than city infrastructure can adapt. This is why the theme of World Water Day this year aims to focus international attention on the impact of rapid urban population growth, industrialization and uncertainties caused by climate change, conflicts and natural disasters on urban water systems. 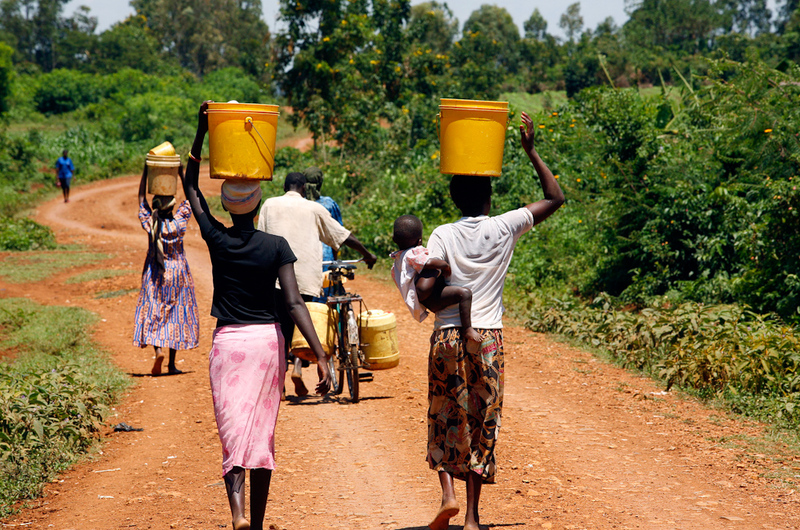 Women in Nyanza province, Kenya, walk each day to collect water for cooking, drinking and cleaning. Photo by Peter Bregg. However, a dire lack of facilities in both informal settlements and rural communities alike mean that the poor living in many areas in eastern Africa face similar water and sanitation challenges, particularly related to accessibility and safety. 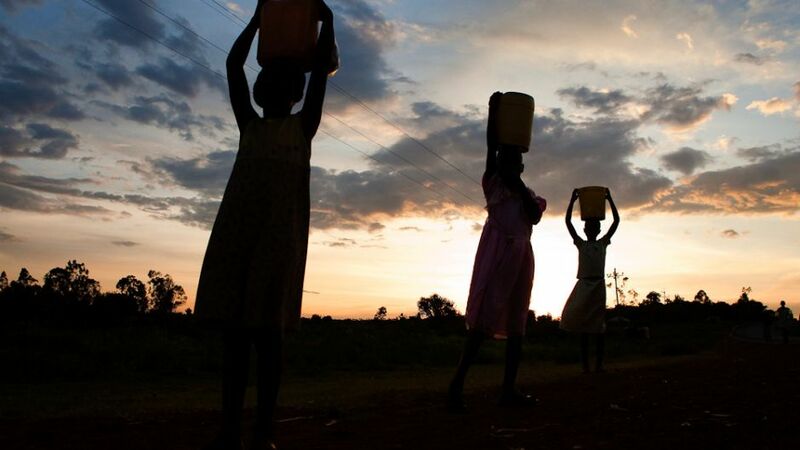 “Women and girls walk on average 6 kilometres to fetch water from rivers, streams and unprotected springs that are often known to be unsafe for consumption or are forced to buy over-priced and barely palatable water from vendors. There simply are no alternatives!” notes WaterCan, a Canadian-based charity that helps some of the world’s poorest people gain access to clean water, basic sanitation and hygiene education. Working in partnership with indigenous organizations in eastern African, WaterCan supports small scale, community driven projects that are long term and sustainable, and that integrate water supply, sanitation and hygiene education activities. Using low-cost, locally appropriate technologies, their work emphasizes community ownership of planning and management, self-help and community participation, and aims to benefit and involve women. 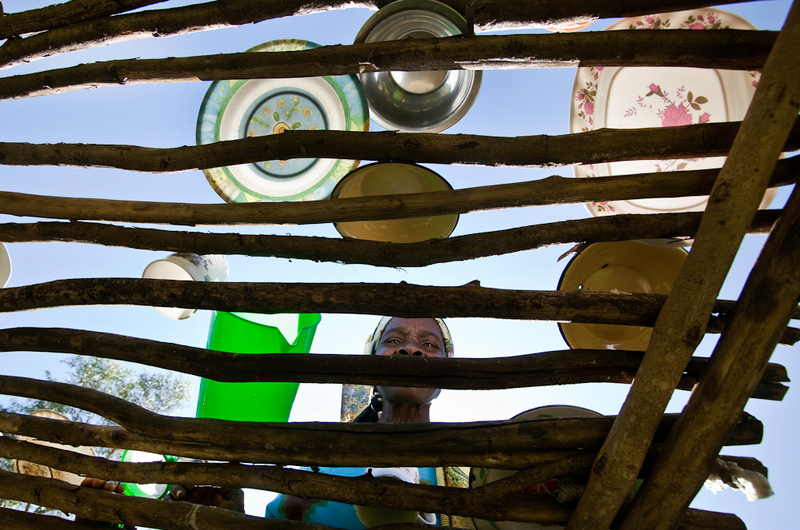 Hygiene conscious dish racks, easily constructed from locally available materials, save lives. Photo by Peter Bregg. Water for Life: An African Photo Exhibit tells the story of the global water and sanitation crisis through the camera lens of internationally renowned and award-winning photographer, Peter Bregg. Bregg captured these images as he travelled to Kenya, Uganda and Ethiopia to visit WaterCan project sites. A young girl stops at a creek near Kisumu in Kenya to wash her feet and face and quench her thirst. Photo by Peter Bregg. These powerful photographs illustrate how, in many communities in Africa and beyond, people rely on strong connections to each other as they go through a daily struggle to provide water for themselves and their families. Bregg has also produced a series of short videos of the stories behind these photos. We hope this essay will help stimulate discussions on the plight of the 1 billion people worldwide who cannot simply turn a tap and access clean, safe drinking water. Visit the WaterCan website and read more about the important initiatives and how you can contribute. Water for Life: an African Photo Exhibit by Carol Smith is licensed under a Creative Commons Attribution-NonCommercial-ShareAlike 3.0 Unported License. Is there any way I can use the photos by Peter Bregg? I am a Rotarian involved with supporting the construction of 10,000 litre cement water tanks in the Rift Valley of Kenya. I want to make a vertical banner for help with fund raising when we speak at other Rotary Clubs.